Genix joint ventures leverage a state of the art Intelligent Business Process Management (BPM) platform designed to be easily configured to transform complex operations that typically involve high volume and data intensive processes into secure and user friendly web-based solutions. Genix partners select the features they need from the platform and work closely with our R&D team to develop requirements and customise each solution. Partners can also gain access to commercialisation expertise; operational structures and ongoing technology support to incubate and build businesses that are investor ready or set up for sustainable growth. Commencing with the establishment of Xbio Systems Inc in 2006, Genix is now developing and supporting joint venture businesses that improve productivity and effectiveness in the healthcare, life sciences, utilities and government sectors. The highly qualified Opturion team has developed an advanced optimisation engine and now provides professional services and software solutions for complex planning and scheduling of people and resources. Customers work with Opturion to identify requirements, targets and scenario parameters and the team then provides fast, optimised answers to these requirements or builds software solutions that can be used by an industry sector. The Opturion team also works with Genix to integrate optimisation into complex workflow driven risk management, scenario modelling, scheduling and planning solutions that leverage both the optimisation and iBPMS capabilities. 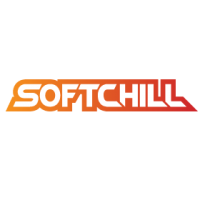 Based in Charleston, South Carolina, Softchill Inc is a joint venture between Genix Ventures and Inbuspar Inc, a US based provider of consultancy services to the utilities sector. Softchill Inc is in the process of commercialising the LCP Optimiser, a capital and maintenance expenditure optimisation tool that allows users to plan asset maintenance and replacement expenditures at the component, equipment group, generating unit, plant or company level. The LCP Optimiser was integrated into the IBM Software Architecture for Energy and Utilities (SAFE) in 2010. As part of SAFE, the LCP is sold with a broader suite of IBM Solutions to the global Energy and Utilities sector. 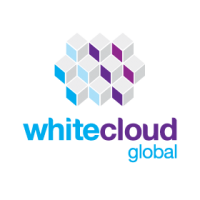 White Cloud Global (WCG) provides client-centred, seamless, ‘end to end’, solutions to learning delivery, professional development & assessment needs, utilising the latest cloud based technologies. WCG is differentiated by the PROTRACK platform. The software effectively eases the transition from paper-based assessments and introduces automated marking for multiple choice, short answers and essays. State of the art purpose-built training, examination and event facilities are provided by our venue partners as is expertise in assessment design, implementation and analysis to complement the software services provided by Genix. White Cloud Global provides clients with dedicated project management across the lifecycle of examination and learning programs and works with clients to integrate new technical solutions into existing processes. 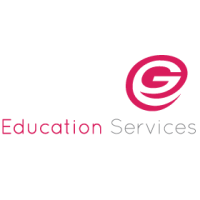 GES offers training solutions that adapt off the shelf training and incorporate original content to meet learning objectives of a client organisation. GES also provides expertise in moving face-to-face training programs to a blended learning or wholly online training environment. GES training modules are designed to reflect the organisation’s professional image whilst delivering practice environments for skills acquisition and ensuring trainee involvement in the learning process. We work closely with client teams to develop requirements, storyboard content and customise each solution to meet the organisation’s requirements. Text/graphic animation, audio synchronization, interactive components, and publishing options for both web and Learning Management System (LMS) delivery. Skins, colour schemes, and interface customisations – colour schemes can be changed to match corporate or group branding standards. It also allows customisations such as button labels and the ability to turn on or turn off certain features. Globalisation/Localisation – Language conversion is done by local language speakers and professionals who understand the content involved. Genix works with leading providers of skills training in Australia to adapt and develop courses for delivery in South and South-East Asia. The current program delivers training in the building and construction, safety, resources and hospitality industries to Australian standards. Courses are delivered through partner organisations in participating countries and Genix is looking to expand its list of partner organisations in the next 12 months. NEC Australia is a leading technology company, delivering a complete portfolio of ICT solutions and services to large enterprise, small business and government organisations. NEC delivers innovative solutions to help customers gain greater business value from their technology investments. Genix and NEC have entered into a partnership to develop and roll out solutions that leverage the unique capabilities of the Genix product suite and NEC’s market leading identity management offerings, systems integration and professional, technical and managed services. As an IBM business partner Genix has access to IBM resources, OEM pricing on software and hardware and access to IBM sales networks and the Innovation Centre capabilities in Sydney. Genix works with IBM teams in the energy and utilities, transport and healthcare sectors where the LCP Optimiser has been integrated into the SAFE industry framework and is marketed globally by IBM. Genix incorporates IBM products in its own software where appropriate. 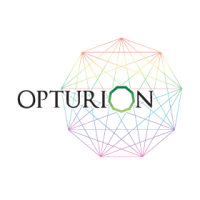 Opturion’s G12 optimisation platform technology was developed by the Victorian Research Laboratory of National ICT Australia (NICTA). The G12′s optimisation capability is integrated into Genix and third party applications providing clients with market leading and cost effective optimisation capabilities. The Opturion solution has been embedded in applications that support transport (aviation and road) solutions, logistics applications, planning and scheduling and resource allocation. Conscious Machines commercialises high-end text-mining based search and fusion analysis technologies developed by the Cognitive Systems Laboratory at La Trobe University. This technology is integrated into the advanced search and federated search components of the Genix iBPMS platform and is being used to support automated marking of short answer and essay-type questions in the PROTRACK platform. NSW AMES is a part of the New South Wales Department of Education and Communities working under the auspices of the New South Wales State Government. Established in 1951, NSW AMES is a leader in the field of English language and literacy education. Genix distributes NSW AMES online courses in India, Indonesia, Bulgaria, Romania, Slovenia and Slovakia. If you are a resident of any of these countries and are looking to improve and practise your English for general purposes or as a requirement in your workplace, visit our website at https://catalog.genixventures.com to register. There is also a course that is designed specifically for health professionals which is a great resource for learning how to communicate in English in a medical environment. myDRIVESCHOOL develops driver training programs that leverage computer simulation used in conjunction with a steering wheel/pedal set, and is designed to provide young people with an awareness of what is required to drive a ‘real’ car in ‘real’ traffic. The programs will keep users focused with random tests that put the user in a variety of simulated driving situations that are engineered to increase hazard & spatial awareness, co-ordination and competency behind the wheel.